Hozier is coming to Montreal twice over the course of the next few months. First, the Irish singer-songwriter will be performing at the Corona Theatre, in Montreal, on October 29th, 2014. Hozier will then be back at the Montreal Metropolis on March 3rd, 2015. 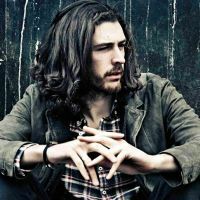 With his two EPs released in 2013, and his first full-length record Hozier in September of 2014, Hozier's popularity is growing fast. Be the first informed if we receive new tickets for Hozier. You will than get a priority choice in our tickets inventory. Enroll yourself to our priority waiting list for Hozier to be alerted when new tickets are available. Filling this form doesn't engage you to any purchase. 2Tickets.ca acts as a third party and is in no way associated with Hozier.